The author approaches his subjects via a small-town Michigan bridal shop, a canny choice in that he can take measure of the heartland while framing the bigger picture through sociological studies and then tightening down to his own fears and hopes as a father of three girls. The town of Fowler has only 1,100 residents, but it is a major crossroads in many lives: Becker’s Bridal has sold more than 100,000 gowns over nearly eight decades and four generations of Beckers. 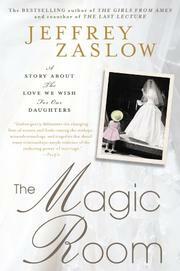 Zaslow writes in a tone of inclusive intimacy, focusing on six women who went to Becker’s to find the right dress. The author plucks at the heartstrings as he relates all the yearnings of the brides-to-be and the travails they encounter on the way to the alter. Zaslow offers plenty of statistics about love and marriage, but they pale in comparison to the everyday stories of the complex circumstances that often surround the big day. “A wedding is a happy life-cycle event, yes, but the harsher life-cycle moments aren’t kept at bay until after the wedding […] weddings are often optimistic islands surrounded by oceans of uncertainty, loneliness, and grief,” he writes. “For some women, a bridal gown can feel like a life preserver.” The author’s vignettes of the six women are wildly dissimilar, but they weave together into a complicated damascene that holds true to much age-old wisdom: Marriage involves serious demands on patience, endless petty annoyances and many compromises, as well as modesty, respect and duty. Jeffrey Zaslow was looking for his next nonfiction narrative when he came across Becker’s Bridal, a family-owned boutique in a small town outside Detroit “where there were more dresses than people,” he says of the setting of his latest, The Magic Room.